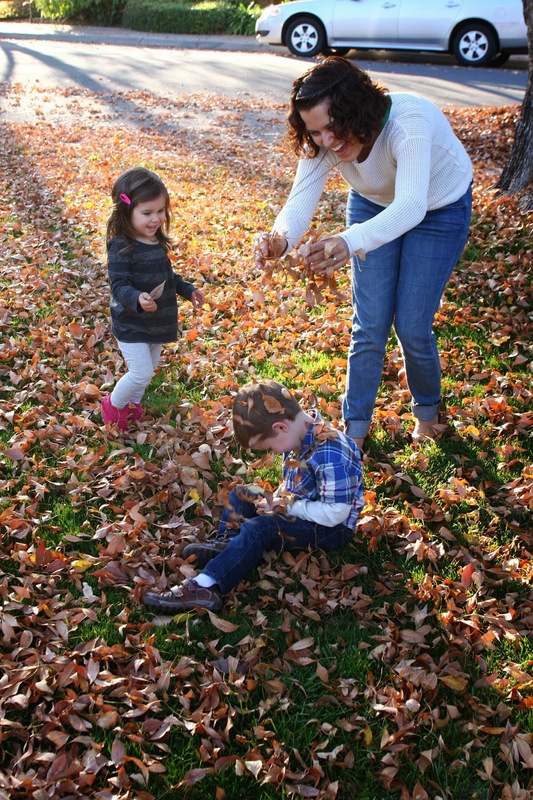 What better a way to end Thanksgiving weekend then playing in crispy brown leaves with my kids?! It was super fun...if only I wasn't playing in my neighbors yard then totally "caught" when I saw them watching me out their window. Oops! If you are a parent (and even if you are not) watch this video. It is too funny...and totally the truth! I found Isla completely naked the other morning in her bed. And she picked up her diaper, looked at me and said "diaper on". I found a box of my old cabbage patch dolls. There were 10 DOLLS in it. What child needs 10 cabbage patch dolls?! Me apparently...and now Isla is the proud owner of the "baby" (or 10). I had my first bloody mary and wasn't a fan. Connor had a Thanksgiving feast at school. The kids sung three songs for the parents. Connor did not sing at all. Of course, he now has been singing the songs all weekend. Another funny thing I saw this week...this one isn't super appropriate, so if you are easily offended, don't read it. Now that Thanksgiving is over, I am excited to get everything all set up for Christmas around here. Have you decorated yet? aww your neighbor probably thought you were such a good momma for playing outside with her kiddos!! Those pictures scream fall or thanksgiving. I saw that video and it's hilarious. It's been a long time since we've said good night to each other. Now we just say Good luck. HAHA that's so about us!